Race Course Primary students, Kareen DeSouza and Dorian Reid, took Verona Carter, VP Public Affairs, New Fortress Energy, through the JA BizTown workbook during a recent visit to the school. 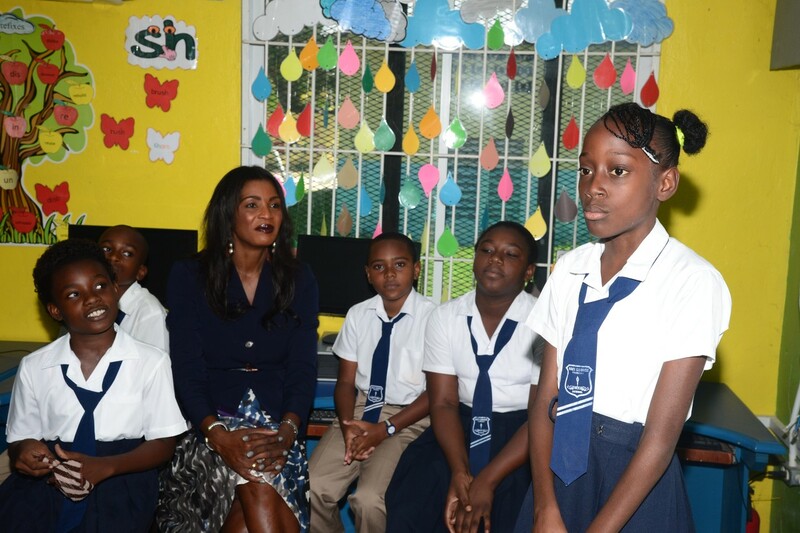 Meanwhile, looking on are Monica Smilie, Principal, Race Course Primary and Alphie Mullings-Aiken, President, Junior Achievement Jamaica. 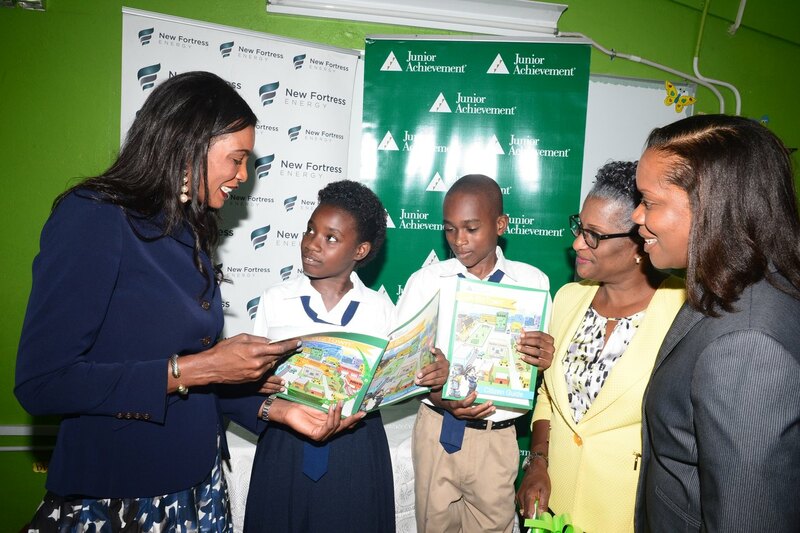 New Fortress Energy has partnered with Junior Achievement Jamaica (JA), to help 1,200 students from primary schools in Old Harbour and the JAMALCO refinery communities participate in a four-week, in-class entrepreneurship and business curriculum as part of the JA BizTown programme. Scheduled to begin November 2018 during National Youth Month, JA BizTown is the first and the only one of its kind in the Caribbean and Latin America and is designed to develop and sharpen the business and entrepreneurship acumen of students from an early age. 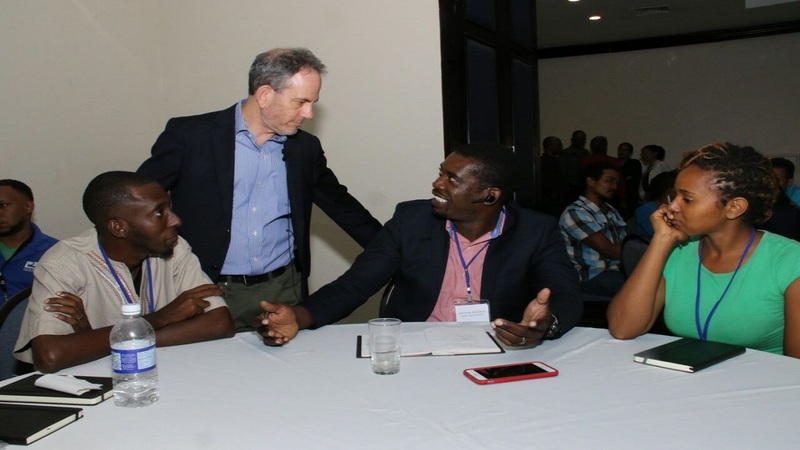 The programme is correlated with the Ministry of Education, Youth & Information’s National Standards Curriculum and exposes students to specialised in-class learning through several Jamaican private sector businesses giving students the opportunity to undertake various functions just like the professionals employed in these organisations. 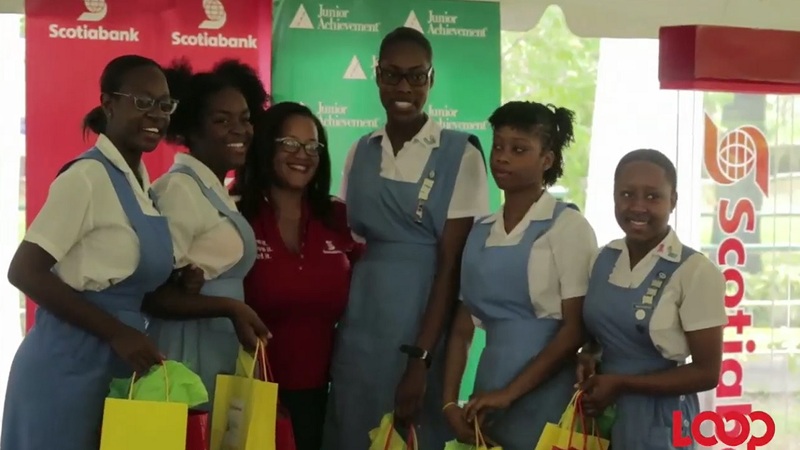 Tasha James, grade 6 student at Race Course Primary, made a presentation to her fellow schoolmates about her experience as a massage therapist in the Junior Achievement’s simulation entrepreneurship programme, JA BizTown. Looking on are Verona Carter, VP Public Affairs, New Fortress Energy. 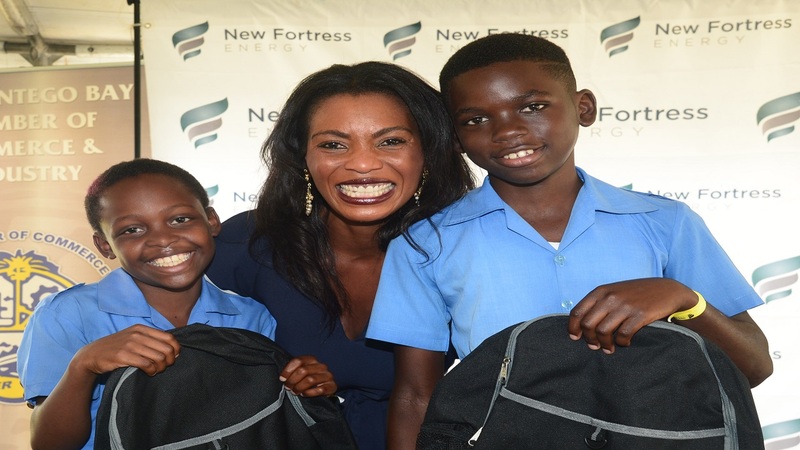 The schools include Davis Primary, Good Hope Primary, Old Harbour Bay Primary, Planter’s Hall All Age, Old Harbour Primary and Marlie Mount Primary from the Old Harbour area and Race Course Primary, Hayes Primary, York Town Primary, Gimme-Me-Bit Primary, Hazard Primary and Mineral Heights Primary from Clarendon. NFE’s employees, who are experts in their respective fields, will also host in-class sessions with the students throughout the programme.